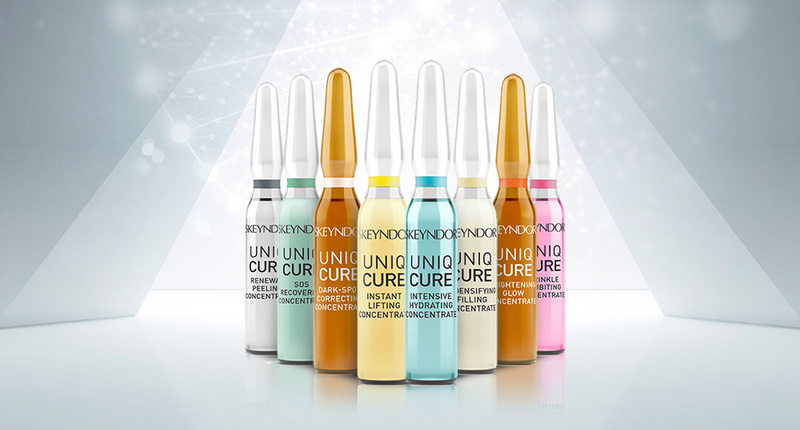 New Uniqcure Concentrates from Skeyndor ! The UNIQCURE concentrates boost the beauty benefits of your usual products with more than 35 active ingredients specially selected and optimized with SKEYNDOR technology to achieve extraordinary results in your skin. 8 types of ampules for 8 specific beauty benefits.